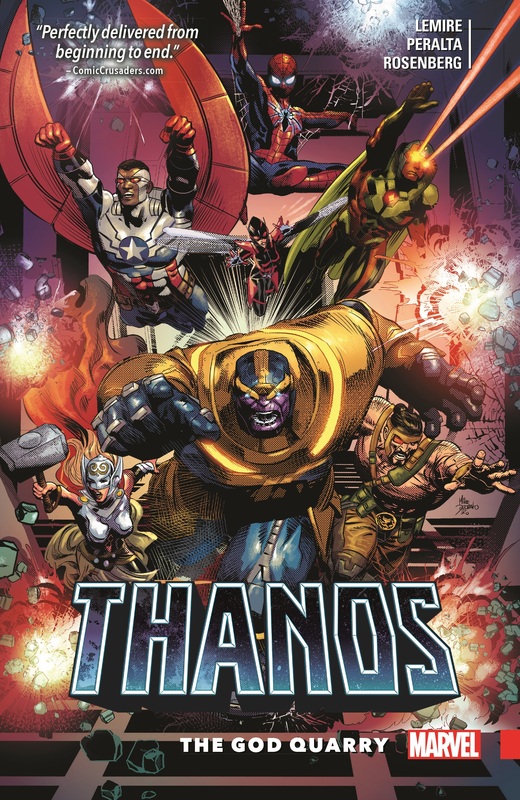 Collects Thanos (2016) #7-12. See Thanos as you’ve never seen him before: powerless and alone! He is willing to do anything to survive, even if that means accepting help from the unlikeliest of places! And when a threat emerges that’s even worse than the Mad Titan himself, every last one of our lives will depend on the weakened Thanos’ drive to survive! And then there’s the small matter of the God Quarry. None who enter have ever returned — and now, it’s Thanos’ turn to explore its depths. 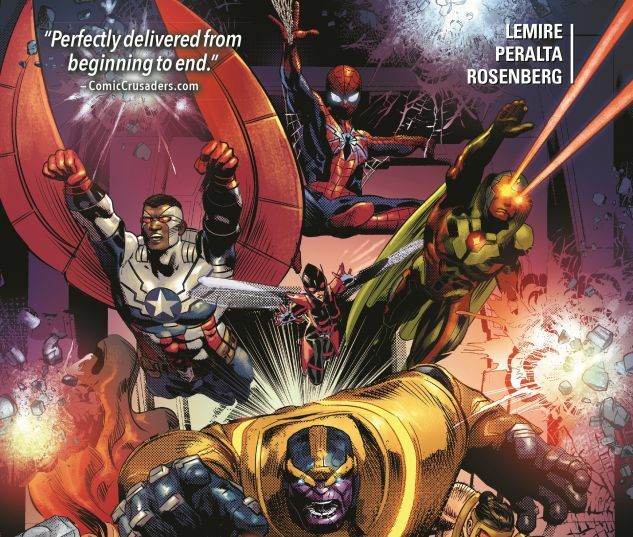 But that’s nothing compared to what’s coming: Earth’s Mightiest Hero! Leader of the Avengers! Champion of all that is good! Thanos?! 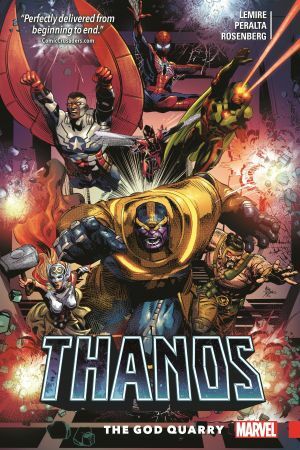 But can the cosmos survive when Thanos and his son, Thane, come face-to-face in their violent and universe-shaking climactic battle?